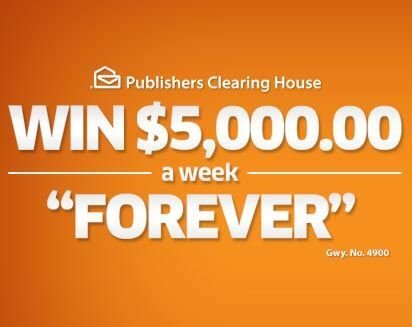 asterisk	And Roy, our “Forever” Prize winner would have A LOT to look forward to. From the very first check we’ll have in hand on prize day, to all the ones after that — it certainly would be a most exciting time. Final Step Current Compliance: Incomplete. 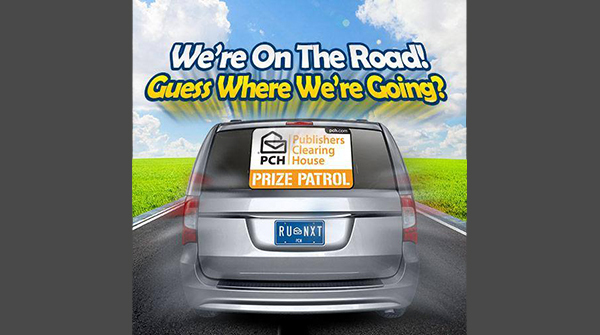 PCH Search & Win, please activate my entry, I need to complete compliance according to the Regulation at Publishers Clearing House a Superprize 1 step way from being complete compliance with winner selection standards for the number to be issued to me. 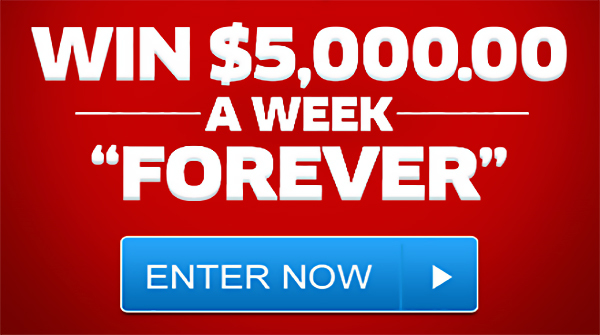 I searching on timely for Notice of Mandatory Compliance at PCH Search & Win I complete the final step assure full compliance and eligibility to wi $5.000.00 A week “Forever” If I win I receive $5.000.00 a week for my life then after that the those same weekly payments would continue on a beneficiary of my choice, when you take look for winning number in the last of a series of drawing from PCH Gwy No 8800. On February 23rd in just few weeks.. I hope my number is choosen. I search also for a Weather Wednesday 01/31 High 73° Low 56°, Currently 72°, Humidity 48%, Pressure 30.21, Wind 8.04 NE, Visibility 10, UV Index 3, for 3 Days: Thursday 01/01. More clouds than sun. mild, precipitation 22% , High 77 °, Low 65°. Friday 02/02: Party Cloud y Mild, precipitation 22%, Saturday 03/02 Hig 78° Low 65°, Cloudy. Mild, precipitation. 24% . Thanks! Roy APPEL WANTS TO WIN ACTIVATED ENTRY FULL COMPLIANCE.APPEL FAMILY IF PCH BLESS ROY APPEL PAY MEDICAL BILLS , TAKE MY BRIDE ON VAC A TION ROY APPEL FOUNDATION TO USE TO ASSIST POEPLE IN NEED GET BACK ON THE GAME. I WILL BLESS OTHERS. RESCUE ANIMALS . CONTINUE PLAYING PCH GAMES MR.LOYALTY GOING STILL BE ACTIVATED . 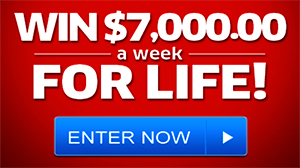 YES ,I WANT TO WIN, CLAIM ACCEPT, GWY 8800 $5,000.00 A WEEK ‘FOREVER”! ON FEB 23 2018! THANK YOU PCH! 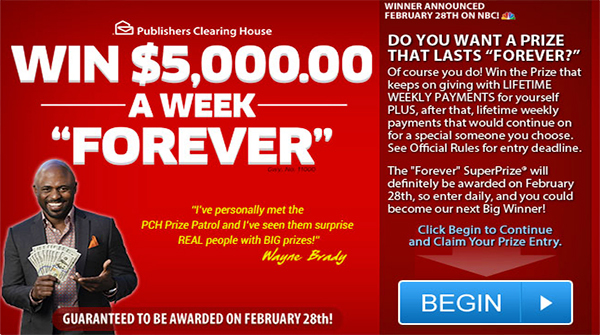 PCH,YES, I WANT TO WIN ,CLAIM, ACCEPT PCH GWY8800 $5,000.00 A WEEK “FOREVER”! ON FEB 23 2018! THANK YOU PCH! I am still here and I would like to claim the cash prize for$5,000.00 a week for ever from pch prize patrol please place me in the early drawing ,also I would like to claim the road trip prize of $10,000.00 dollers from pch prize patrol please place me in the early drawing thank you Debra jammiedaisy @yahoo.com please come to see me soon please.